Who doesn’t love a good cookie? I know I certainly do. Please meet our newest contributor is Chef Chris Jolly, the author of his blog As Raw As You Wanna Be. Today he’s sharing his first recipe with us and hopefully many more. Chef Chris Jolly is a vegan chef specializing in raw foods. Chef Chris serves oversees the raw food production at North American Vegetarian Society’s Summerfest, one of the largest vegetarian conferences in the world. He has written for Natural Awakening Magazine, written for and been featured in the Asbury Park Press, and his recipes and products have appeared on Glamour.com and OneGreenPlanet.Org among others. Chef Chris lives in San Diego where you can catch him relaxing on the beach, hiking a mountain and generally keeping it classy in America’s finest city. Check out Chris on his social media channels: Facebook, Instagram. Welcome Chris! I love cookies! Come on…who doesn’t like cookies? 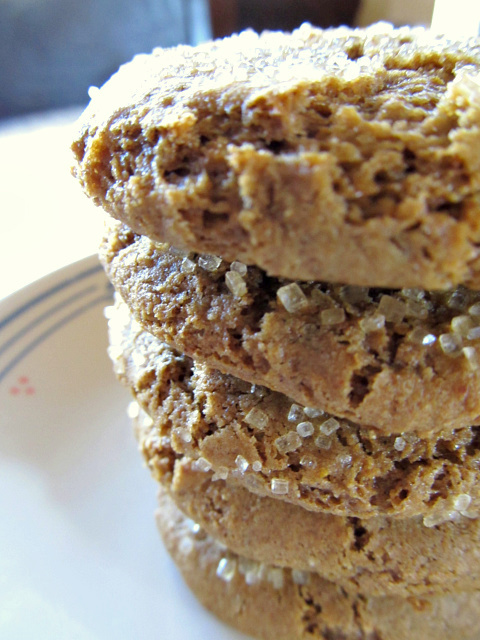 They are sweet, delicious, chewy, crumbly and handheld. 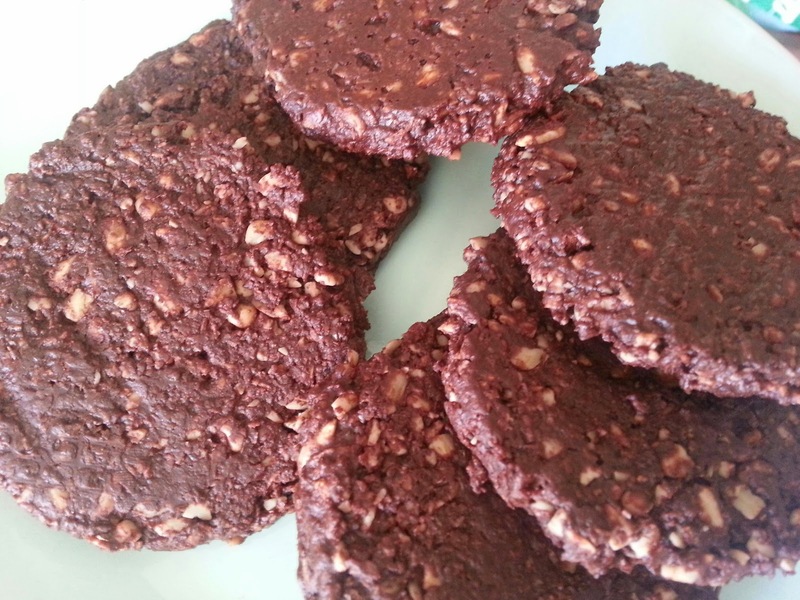 This is another super duper easy to make raw food recipe that requires little time and can be recreated in moments with no advanced technique required–and it is delicious. I do use agave in this recipe, but if there another liquid sweetener that you prefer such as coconut nectar, yacon or maple syrup, feel free to substitute instead. Another great swap is to use a 1/2 cup of pitted and soaked dates in place of a liquid sweetener. 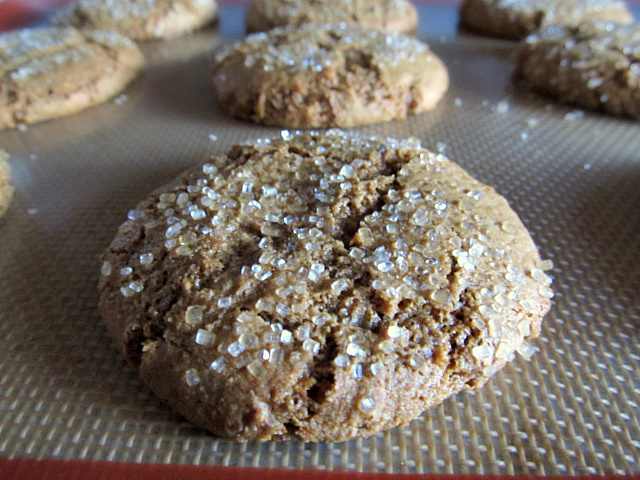 There is a little coconut sugar in these cookies additionally. 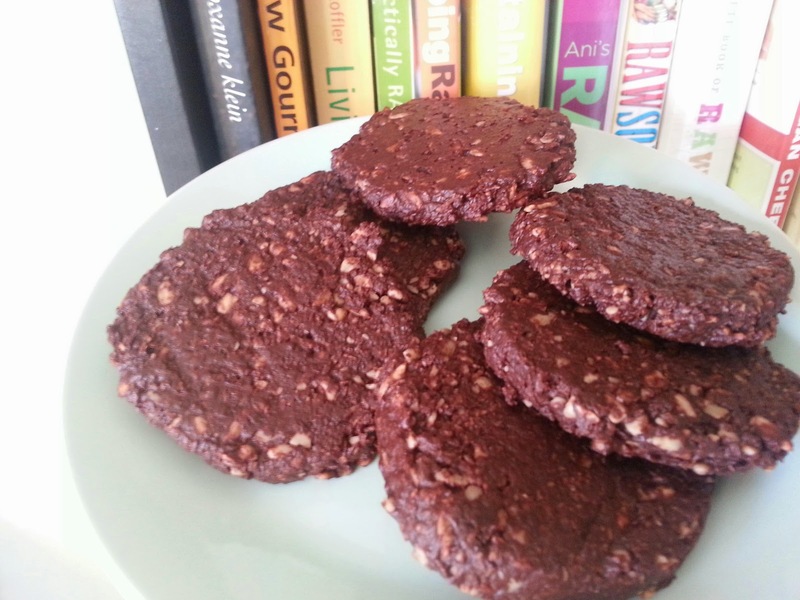 Feel free to omit if you like, but these are cookies, so a little decadence is essential. Add all ingredients to a food processor and process for about a minute until you have a uniform mixture. 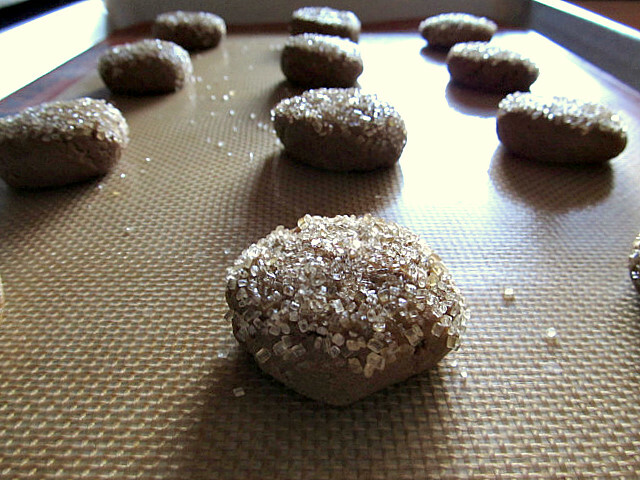 Use a cookie scoop or your hands to form into cookies and place on a lined dehydrator tray. Dehydrate for 2 hours at 115 degrees. For a different twist on this treat form into small balls, transfer to freezer to set and then dunk in your favorite ganache/chocolate sauce. And remember–if you’re supposed to be taking photos to share with people, make sure you remember before eating half the cookies…I told you they were delicious! 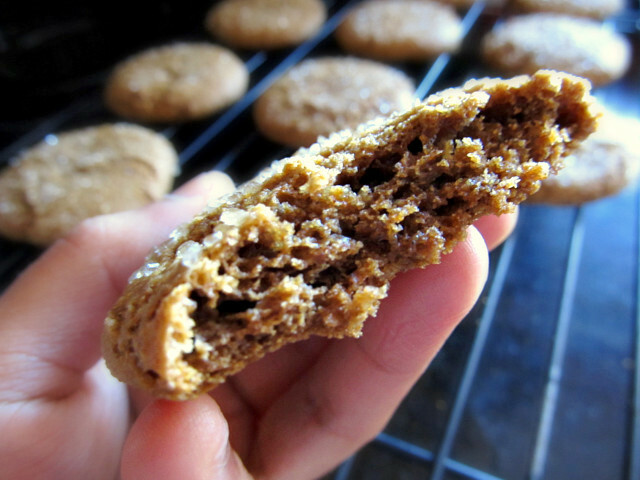 Back in October during MoFo Tiffany was kind enough to share a recipe with us and she’s back again with adorable ginger snap cookies! Please welcome back the blogger of Bread Without Butter! I finally made some seasonally-appropriate cookies. These delicious lovelies went to a dear friend who happens to have a gluten sensitivity and adores homemade baked goods. 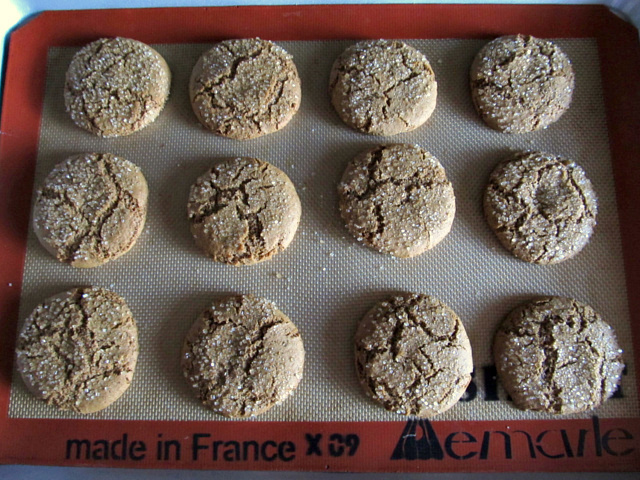 Thanks to a few adaptations to this already- vegan and gluten-free recipe for Gluten-Free Gingersnaps, I’m slowly slipping back into my baking groove. We’ll have to see how the situation progresses. On a related note, the stollen I baked up back in October was included in the 2011 Holiday Edition of YeastSpotting over at Wild Yeast. There’s a fine round-up of inspired, edible holiday creations, so do check it out. What have you baked up lately?